These shoes will make a stylish addition to your footwear collection. 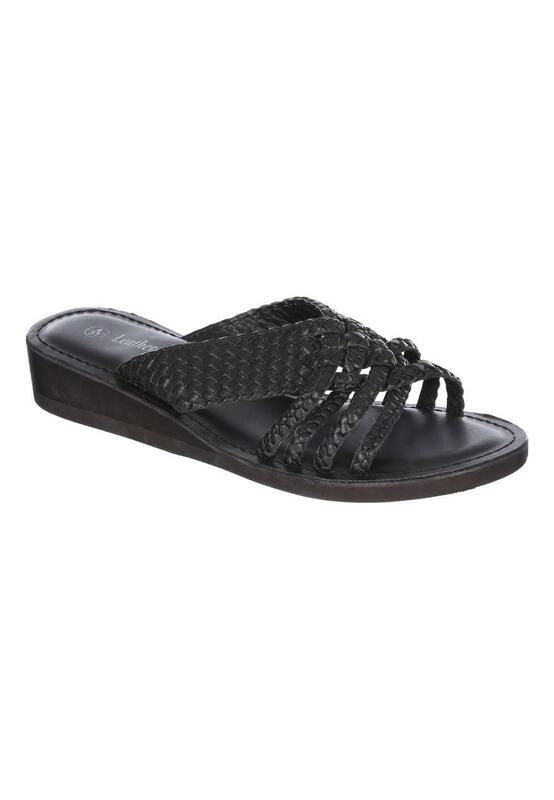 In a black leather mule design with a wedge heel plus a lattice upper, these sandals are a holiday essential. Very comfy and look good for the price.